Where are the best beaches in Kent UK? 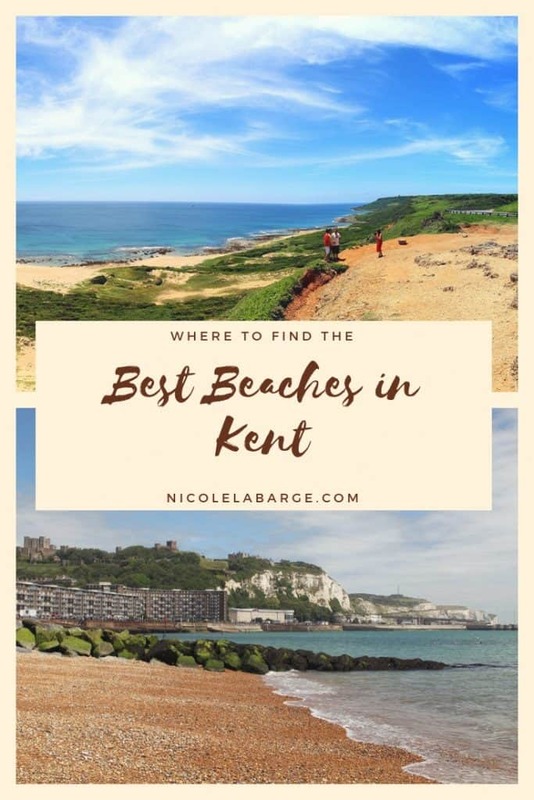 There are more than 50 beaches in Kent and finding the best beaches in Kent for you will not be hard with this list. Kent is located in the South Eastern part of England about a two hour train ride away from London and best known for its beautiful coastline and sandy beaches. 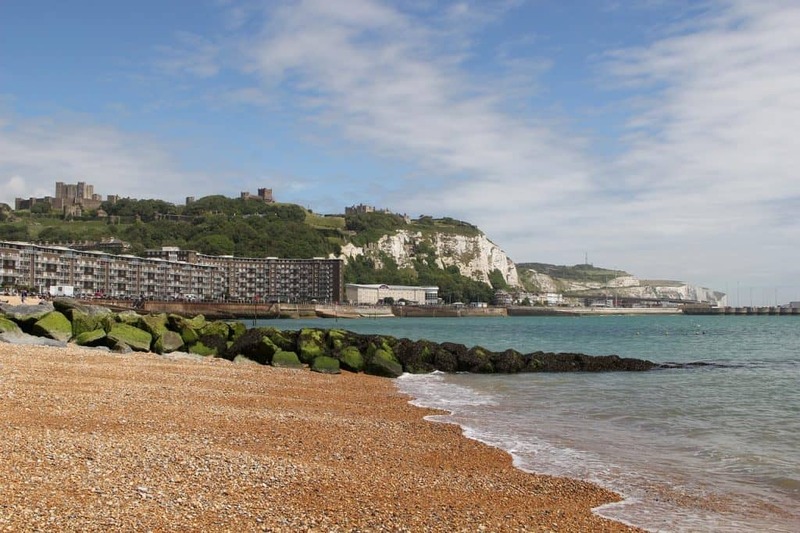 There is so much to do in this area from the Leeds Castle to Canterbury Cathedral to the Cliffs of Dover it is an area of England worth exploring and below is a list of the best beaches in Kent. 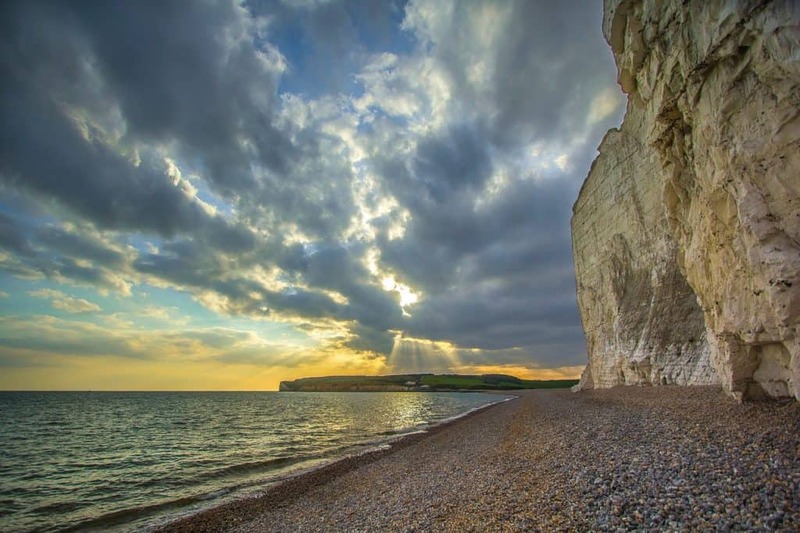 If you are looking to get away from the crowds in London and want to experience the countryside and beautiful beaches, Kent is where you want to spend your long holiday weekends. To take the train from London takes just over two hours and there are several trains per day. The following stations in London have trains to Broadstairs and other stops long the way to Kent – Victoria Station, Liverpool Station, St Pancreas Station, and Charing Cross. Visit the Train Line for specific times and stations. Where are the Best Sandy Beaches in Kent? What is a beach without sand? If I’m going to the beach I want to go to the best sandy beaches in Kent. If I had to pick one area I would pick the beaches near Broadstairs as they are the most popular and the best gems in the bunch. Remember, the more popular the beach the more crowded the beach will be. You will need to weigh this fact with the facilities you need such as bathrooms, changing rooms, kiosk, restaurants and promenades. This is the most popular and famous beach in Kent and in my opinion the best sandy beach in Kent. The beach here has stunning views of the white cliffs and the chalk stacks. The beach is best visited at low tide and you can also climb the caves on the beach which smugglers used to use and how the beach got its name. Smugglers carved mazes in the cliffs on the beach. The mazes or tunnels with many dead ends to confuse custom officials and hide the real route away from the sea. There is limited parking near the beach but you can find toilets in the summer and kiosks selling drinks and snacks. There are also lifeguards on duty in the summer. Joss Bay is a popular beach with surfers. This sandy beach in Kent stretches over 200 meters and has steep white cliffs at the end of the beach. The Viking Coastal Trail runs for 51 kilometres along the Thanket Coast and runs along Joss Bay. The trail is great for cycling and walking along the coast. The trail runs from Reculver through Marsgate, Broadstairs, and Ramsgate. This is a nice sandy beach with shallow waters and facilities such as showers where you can rinse off. You can grab a coffee or ice cream and you can often see seals on the beach here as well. St Mary’s Bay in Kent, also known as The Bay, is located in Romney’s Marsh. The beach stretches from Dymchurch to Littlestone on Sea. St Mary’s Bay beach is a clean, sandy beach and is about half a mile wide at low tide. There is a promenade that runs along the beach that is accessible for wheelchairs or you can ride your bike along the promenade. In the summer there are kiosks that sell drinks and snacks. Dymchurch beach is right next to St Mary’s Bay and runs for 5 kilometers. As the beach is relatively flat it is popular with families and gets quite busy in the summer. There are no lifeguards on duty at this beach. Recently, the council spent redid the sea wall. It is wide enough to walk along but it also gets slippery when it gets wet. In Dymchurch they have an amusement park and donkey rides are offered for kids. The third beach along Romney Marsh is Greatstone Beach. 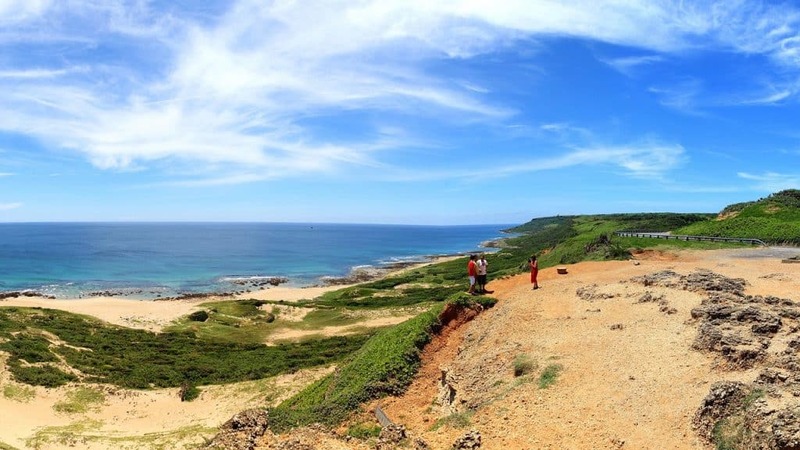 This beach is suitable for sunbathing, beach games and swimming as the water quality is monitored. The beach stretches from north to south for two miles. It is a favourite spot for those who want to go wind boarding or wind surfing. The bathrooms are open in the summer and there are two car parks near the beach. Next to Greatstone is Littlestone Beach which runs half a mile long. Littlestone is a shingle beach but at low tide there is some sand beach that can be found. Littlestone is a much quieter beach than the main beaches at Romney Marsh. All facilities can be found in the village adjacent to the beach. Margate Main beach has a tidal pool, kid’s rides and arcade games for families who want traditional seaside fun and entertainment. At high tide there is still plenty of beach to make sand castles. There are lots of restaurants, bars and seafood stalls a short walk away in the Old Town. Perfect for an evening stroll along the beach. Stone Bay is the quieter option in Broadstairs. The beach is lined with steep white cliffs lining the beach which makes it feel more private and secluded. They also shelter the beach from the wind and shade in the late afternoon. Check the high tide times as the sandy beach will disappear during high tide. There are beach huts lined on the beach. Did you know that Ian Fleming, author of James Bond, came to St Margaret’s Bay and rented a cottage and wrote the adventure series in Kent? Today you can take a 007 tour of the filming locations. This beach is only 150 metres and located next to Ramsey Beach but worth a wander. This beach will disappear at high tide. This beach is part of the Viking Trail and a secluded beach for families. Perfect for swimming and watersports. This small beach is near Margate and has a lovely promenade and scenic cliffs in the back. Vikings Bay is a popular sandy beach that is horseshoe shaped and beach huts for changing rooms and a pier. Dungeness is the largest shingle beach in Europe which makes it different than all the other beaches listed. 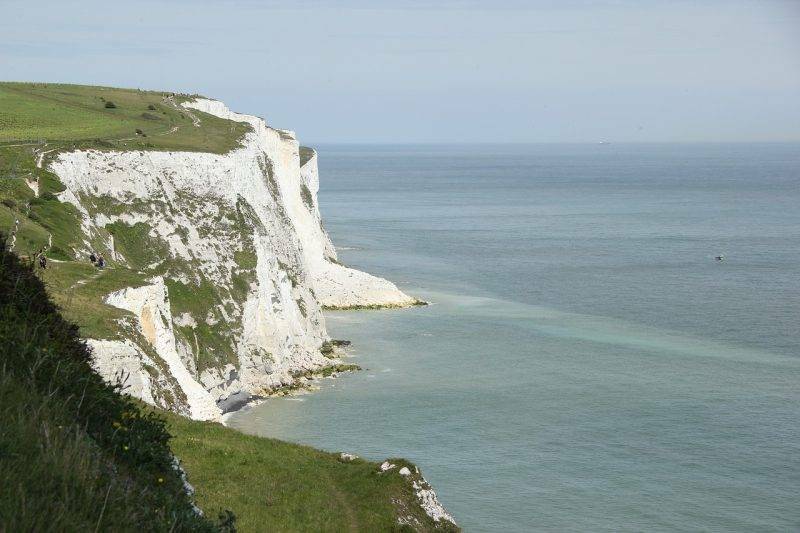 Starting at the National Trust Visitor Centre at Langdon Cliffs, this four-mile walk takes in views of the famous cliffs (and France on a clear day), and the rare flora and fauna of chalk grassland. I would ditch the car and walk everywhere you want to go especially if you are visiting the beaches near Broadstairs. There is the Viking Trail which can be walked or biked to visit the beaches or you can take the Thanket Loop bus which runs regularly. Don’t worry, this bus always loops back to Broadstairs so its hard to get lost. All of the beaches listed here are restricted for dogs during the summer months from May to September. The exceptions are Dungeness Beach and Dumpton Gap Beach where dogs are allowed. There are other beaches such as Abbott’s Cliff, Kingsgate Bay, and Ruculver Beach where dogs are allowed at any time. Sharing is caring, you can pin this to save it for later. 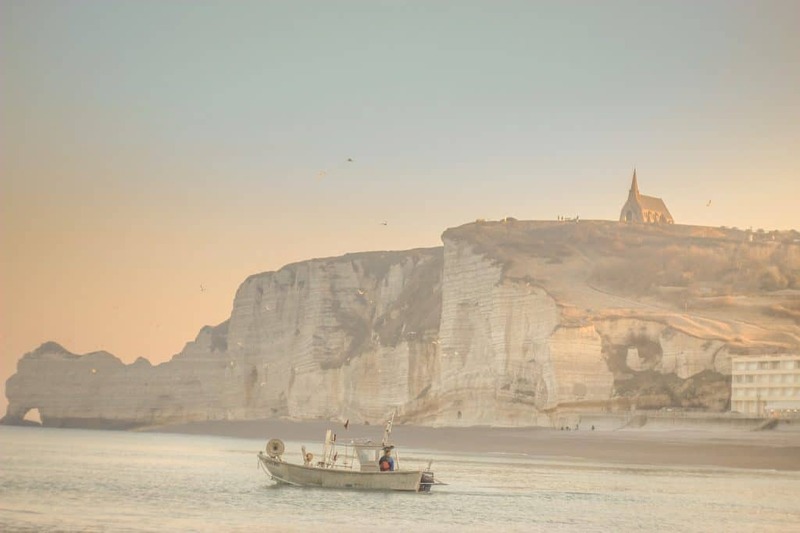 Love all your photos, but Joss Bay looks truly magical! 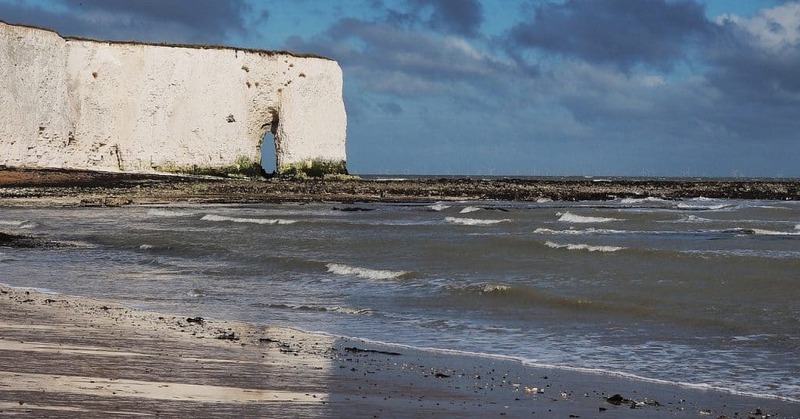 Wow, gorgeous photos, I didn’t know there were so many nice beaches in Kent. I did go to the Cliffs of Dover but we didn’t go all the way to the beach. I will definitely be back to the area since there is so much to see. Pinned your post for future reference. A lovely collection here. Saved to come back to later as ideas! I live in the UK but never explored Kent – only got the ferry from Dover. I never really think about going to the beach in the UK. I have this image of ice cold water. But it certainly looks like I may have to try it. The coastline views are certainly stunning. I love your suggestion about walking some of the beaches. Thanks for the tip about dogs being restricted on the beach. The beaches look stunning. The sheer cliffs are gorgeous and are a stark contrast to the sea. I had no idea people went surfing off of Kent! Good to know for our next adventure. Thanks for including a list of the dog-friendly beaches as well. Now the dog can come surfing too! Thanks for sharing. This is very close to our family roots. I haven’t been back for 30 years but it would be really cool to return and travel the Viking Trail. Beautiful photography and now I have an image of English surfing. Something I hadn’t considered before. England’s hidden gems! I keep forgetting that England is more than Abbey Road and Buckingham Palace, there is an entire coastline of glorious beaches to explore! But that Viking Trail sounds especially intriguing. Would love to know more about how it got its name. Fifty beaches in Kent…who knew! This is a great resource for visitors to the area. Lovely pictures and descriptions of the various beaches. I’d love to walk the cliffs of Dover and see France on a clear day. The 007 tour is also a must experience as well. What fun! How I’d love to wander these beaches. The views must be amazing. Such a contrast to my Southern California coast. I’m a little ignorant and wasn’t fully aware that Kent had beaches! But I have been to the white cliffs of Dover. Now that I know, I’d love to visit some of them, especially Minni’s Bay with my kids and St. Mildred’s Bay for the scenic cliffs. I hadn’t realised there were so many beaches in Kent to choose from, great guide! 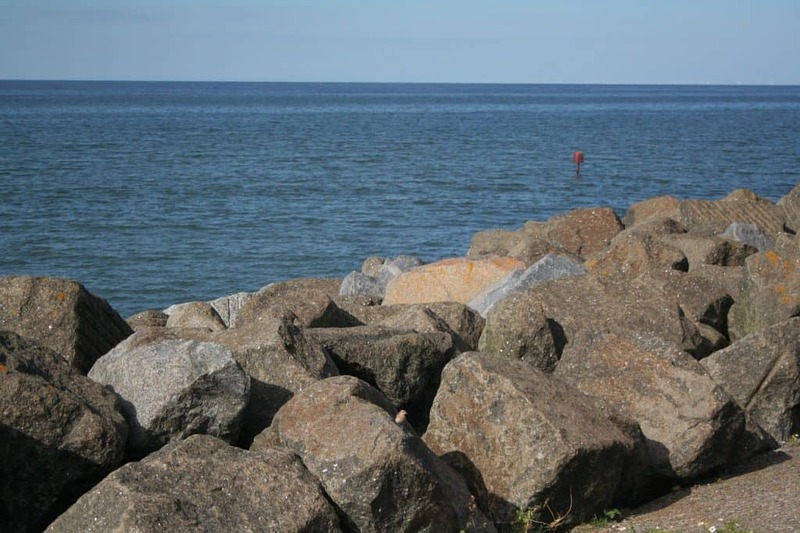 I usually do prefer sandy beaches but I remember going to a beach when I was younger with huge pebbles we used to throw in the water which I loved – as long as I can be by the sea I’m happy! Kent has more than 50 beaches? Wow! What a pity that the weather isn’t the best for going swimming in them most of the year. I love the Cliffs of Dover, they look amazing. Not as majestic as but close to Cliffs of Kerry in Ireland, I was there less than 6 months ago! My family are kentish and I have spent many summer weekends on the beaches on nice warm sunny days. I love the Margate and Broadstairs area for beaches but I also love walking on tops of the White Cliffs of Dover. Highly recommended for anyone who wants a hike in the area (and a visit to nearby Dover castle as well). what a wonderful collection… some of these look so cinematic! Especially Botany Bay in Broadstairs looks something I have seen in a movie although I don’t exactly remember which one.